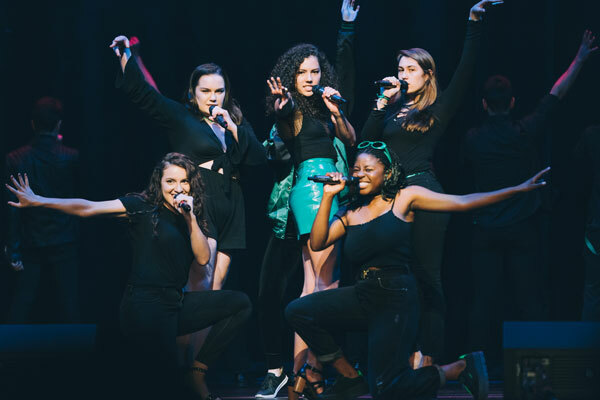 The Varsity Vocals International Championship of Collegiate A Cappella (ICCA) and The Varsity Vocals International Championship of High School A Cappella (ICHSA) are the only global tournaments that showcase the art of student a cappella. And our newest tournament, The International Championship of A Cappella Open (The Open) encourages singers to bring together groups of any age, experience or origin to form a cappella “dream teams.” By giving them a stage — and a cash prize of $25,000 to jump start their professional career, our programs encourage young people to sing together throughout their lives. Fan of our events? Thinking of competing? Here are the basics on our competitions — how the tournaments work, when the season starts, and, of course, why we’ve been doing this for 22 years! Keep up with all our winners here! Get official results for the ICCA, ICHSA, and The Open — up to the minute — as well as special awards. Search going all the way back to 1996. Getting serious? 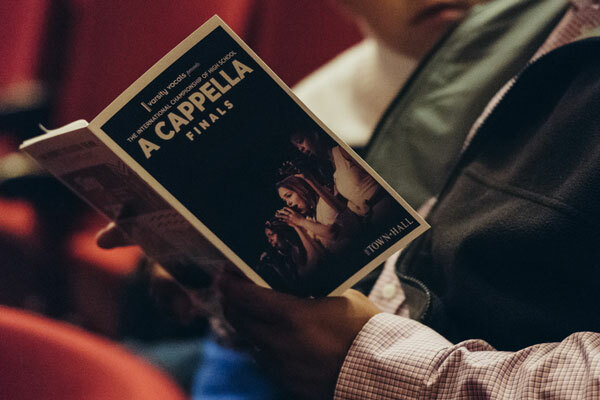 Here’s everything you need to know if you want to compete in the ICCA, the ICHSA, or The Open — rules on eligibility, your performance, and advancing to the next round of the competition. This is THE a cappella trophy. Every champion group since 1996 has its name engraved on the Gooding Cups, a symbol of innovation and excellence in a cappella. Learn more. We take pride in providing fair results and valuable feedback. 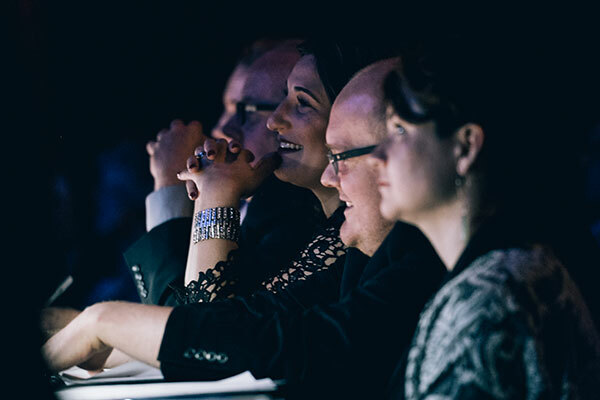 Here’s how we do it — judging criteria, panel selection, ethical considerations, special awards, and how you can get in the judge’s seat. Our programming reaches hundreds of thousands of music enthusiasts every year, through live events, social media, and more. Team up with Varsity Vocals to help promote the power of a cappella! The ICCA is an unbelievable motivator, and the competition pushed me and my group to previously impossible heights. It’s where I first learned what excellence in live a cappella performance truly means. Not to mention that some of my current best friends are former ICCA competitors! The Nor’easters, from Northeastern University, are two-time ICCA Champions. They also won in 2013! Vocal Rush, from Oakland School for the Arts (CA), were named ICHSA Champions for the fourth time in 2017. They’ve previously won in 2012, 2013, and 2015! The ICCA was a big part of my college career at UCLA. It brought our group, the ScatterTones, closer together, it made us stronger singers, it provided undeniable work ethic, and it gave us the opportunity to travel together to compete as a unit. I think the best thing that the ICCA can teach students is the idea of teamwork and camaraderie. — Arianna Afsar, former ICCA Finalist, currently starring as Eliza in Hamilton. Check out her new single!